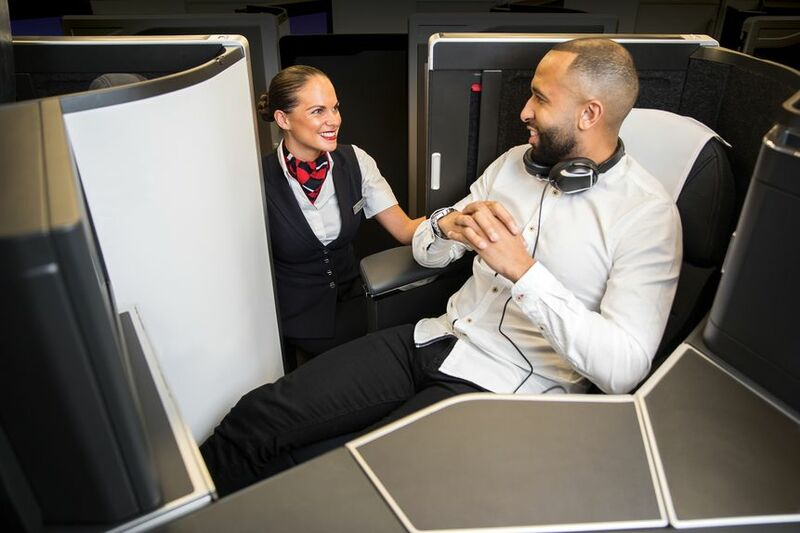 The battle for British business travellers is well and truly on, with British Airways and Virgin Atlantic both launching all-new business class seats. Ironically, each will take to the skies in the UK summer on factory-fresh Airbus A350-1000 jets. So how do they compare? Here's our executive summary for the busy executive traveller. British Airways' Club Suites will make their long-range debut on A350 flights to Toronto and Dubai from October, with 16 more A350s to be delivered over the next few years. Virgin Atlantic's A350 Upper Class will launch on the flagship route from London/Heathrow to New York/JFK in August, with the airline promising "other services to JFK later in the year" and delivery of all twelve A350s by the end of 2021. This is where things start to change up. 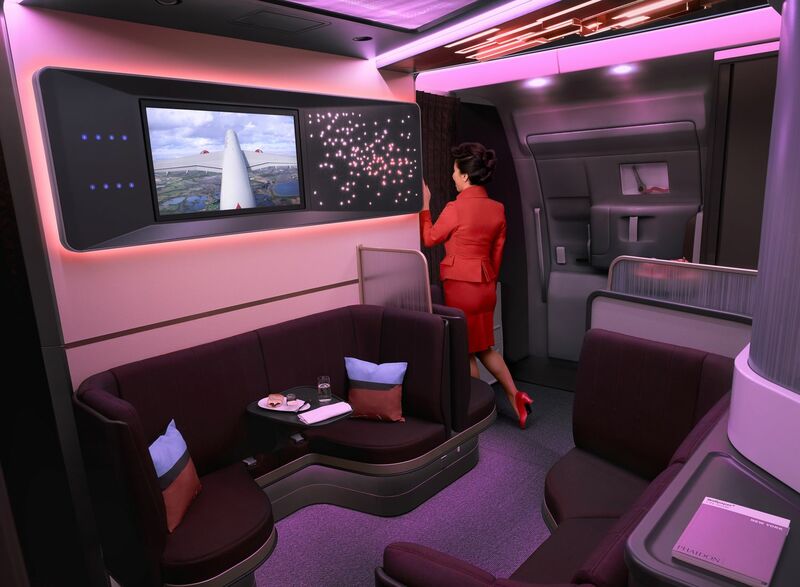 British Airways' Club Suites will also feature on the airline's Boeing 787-10 Dreamliners, due for delivery between 2020 and 2023, and be rolled out across the current Boeing 777, Boeing 787 and Airbus A380 fleet by the end of 2022. However, Virgin Atlantic's Airbus A350 Upper Class will remain exclusive to its A350s. 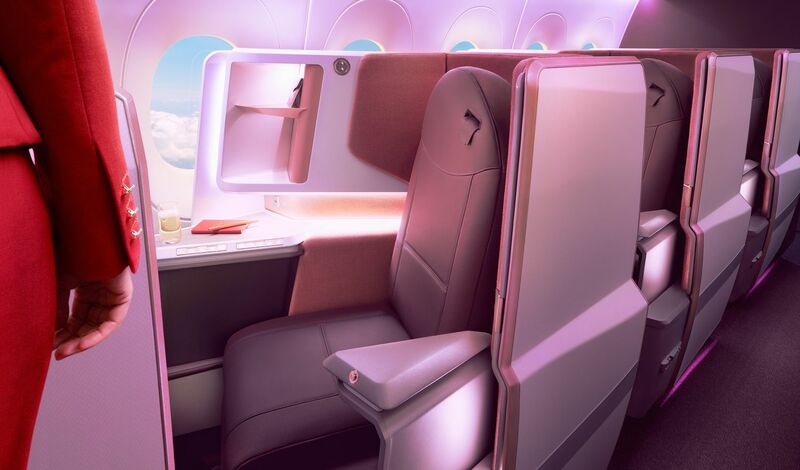 Travellers can expect a modified version of the seat to appear on the challenger airline's Boeing 787s and Airbus A330s as those aircraft become due for a mid-life refresh, but that's still some years away. BA's Club Suite goes all out with a 46-inch high sliding door which transforms your crib into a cocoon – and while some passengers find such doors to be anywhere from cramped to claustrophobic, they always have the option to leave them open. 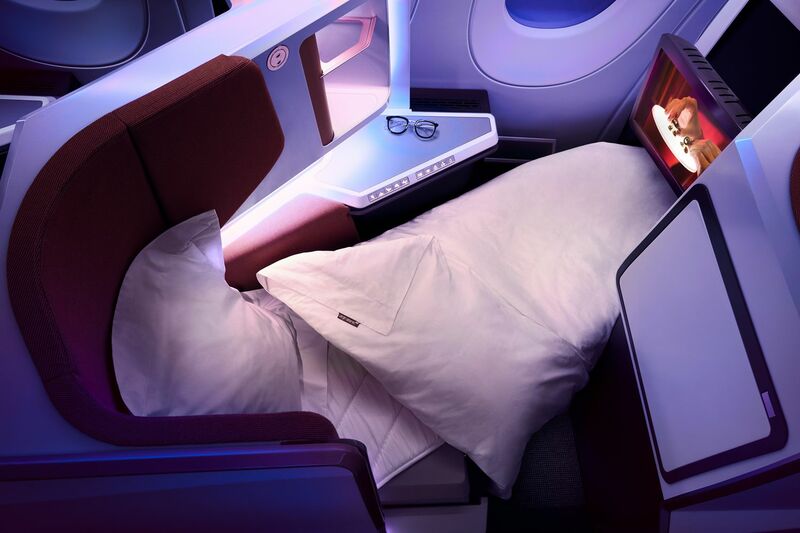 Virgin Atlantic's Upper Class settles for what's less of a door than a semi-private screen which extends about halfway – rather like having a door that's half-closed. We honestly can't see much in this part of the contest: it's not as if total privacy is suddenly going to be the number one driver for the corporate traveller. But if you want that, BA is your best bet for delivering it. 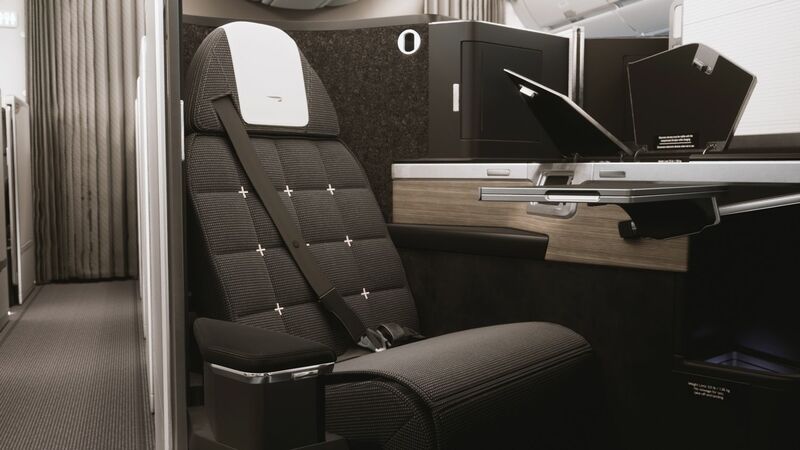 Also worth mentioning, and again not a deal-breaker, is that BA's Airbus A350 Club World business class seating will be spread across two cabins: 44 seats in the larger main cabin, and 12 in a cosier second cabin. On Virgin Atlantic's A350s, all 44 Upper Class seats are located in the same cabin. These days, no business class seat worthy of that label would dare offer anything but a fully flat bed. BA cites its Club Suite bed as measuring 79" from head to heels, while Virgin Atlantic claims an extra three inches to come in at 82". We won't know how those beds and those extra inches actually stack up until we've flown in them, but there's more to getting a decent kip than how long your bed is. 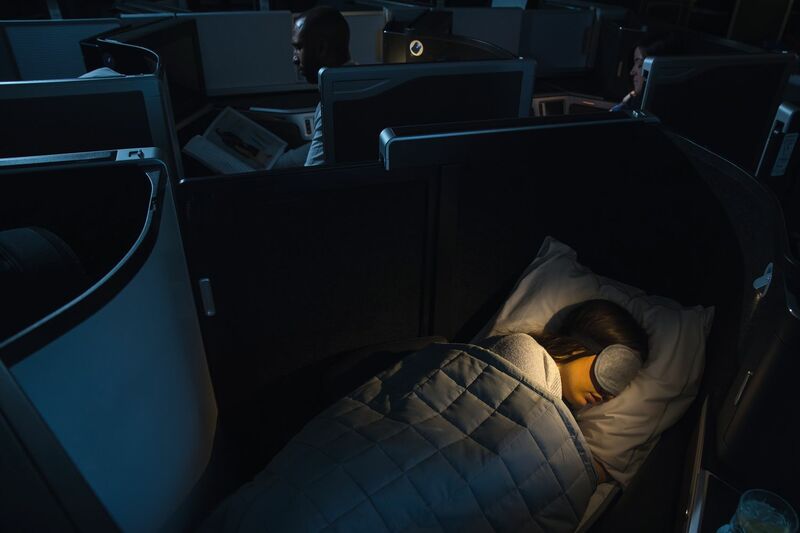 Both airlines are talking up their sleep-friendly accessories such as mattress pads and pillows. BA eagerly adds that it has soft duvets and has partnered with luxury brand The White Company. 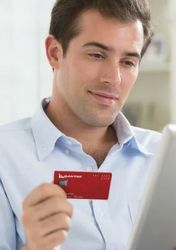 Virgin counters that it will offer pyjamas in a mix-and-match choice between long pants and shorts, and long-sleeve tops and a T-shirt. 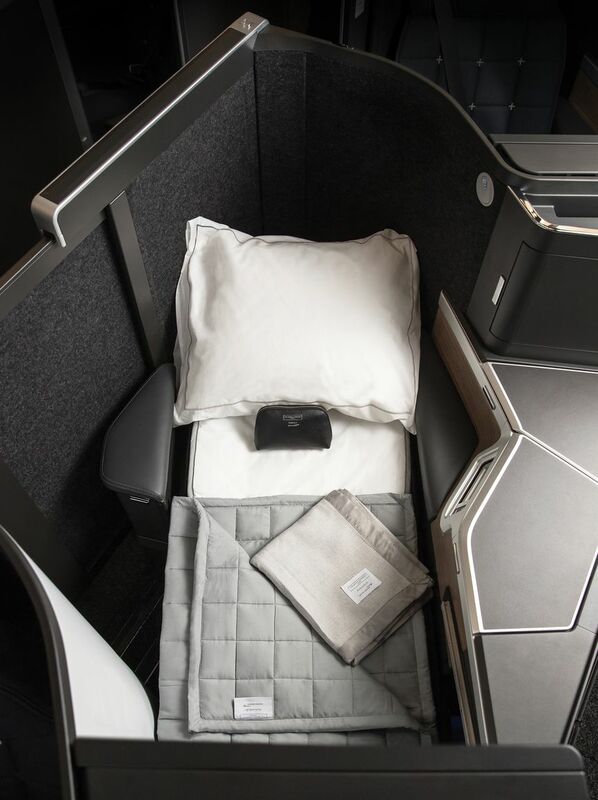 Again, as quiet as the A350 is in the first place, the sleep experience will also be influenced by the design of the seat: are there soft surfaces to dampen cabin noise, and will a door really make a difference to reduce any disturbance as passengers and crew walk past you? Here's where Virgin Atlantic comes out ahead. Way ahead. Its Loft lounge is certain to be a drawcard on those long flights where you welcome the chance to escape your seat, as comfy it may be. The five plushly-padded seats are thoughtfully arranged so there's a spot for solo flyers plus a pair of other two-seater benches facing one another, and room for three more passengers to stand nearby. Being able to take a break from your seat, mingle with fellow travellers and in this case even watch a movie or live sports match (via inflight WiFi) on the 32" TV – thankfully with sound beamed over wireless Bluetooth headphones rather than booming out from a speaker – is a superb way to make your flight appear shorter and definitely makes it more enjoyable. British Airways and Virgin Atlantic are both fitting 18.5" video screens to their respective A350 business class seats. However, BA's design fixes the screen into the shell of the seat in front (or the bulkhead wall, if you're in the first row) so you can enjoy 'gate-to-gate' viewing. Virgin Atlantic's video screen pivots out from the seat in front, which typically means it has to be stowed during the taxi, take-off and landing stages of the flight. Virgin is reportedly aiming to win gate-to-gate approval for the screen when it's swung out to face the passenger, but this is no sure thing. Both airlines will also outfit their A350s with WiFi. Travellers increasingly want more space within easy reach for stowing an assortment of items rather than consigning them to bags tucked away in the overhead bin. 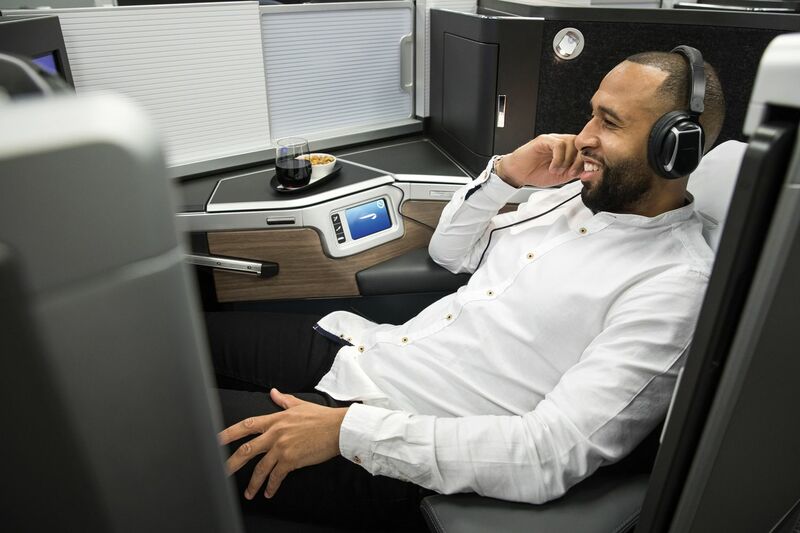 While BA and Virgin have each made leaps in this area when it comes to their current business class, British Airways' Club Suite appears to have more useable space in terms of both flat surfaces plus nooks and crannies. From our coverage of both the British Airways Club Suite and Virgin Atlantic Upper Class, which seat would be your pick for your next business trip? With this new seat BA are almost there. Change the aircraft to an A350, from that horrible, loud & squashy 777 for that ultra long haul SYD-LHR trip and they’d win me over big time. 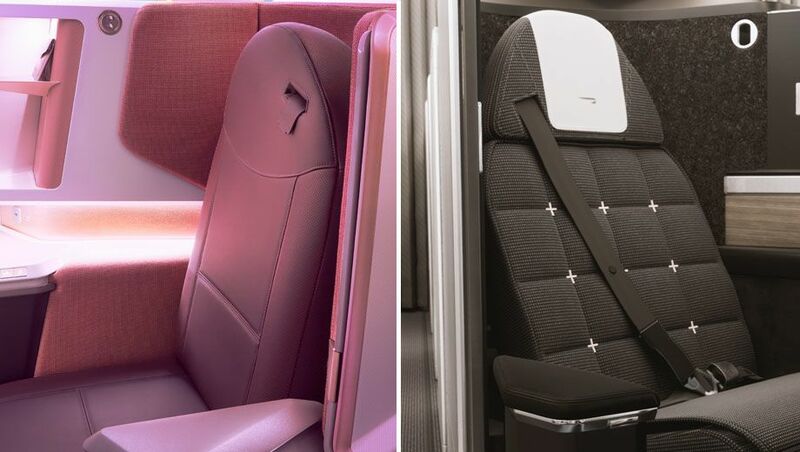 Comment on "British Airways vs Virgin Atlantic: new business class seats compared"